KISSIMMEE, Fla. — Who says you can't have some chilly winter fun in Florida? ICE! 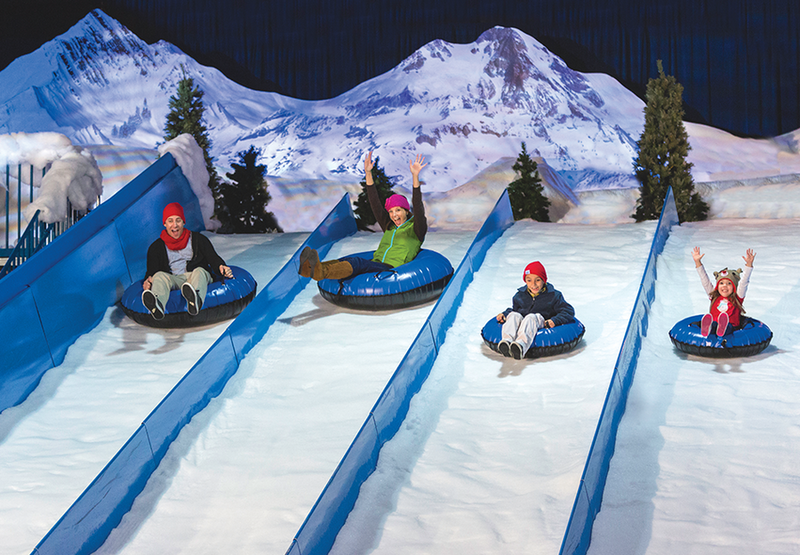 at Gaylord Palms is the perfect opportunity to get your cold snowy fix without having to suffer actual winter. Kids will have the opportunity to decorate Christmas cookies, meet Santa, make a Build-A-Bear, have snowball target practice, race down 2-story-tall ice slides and experience sledding without having to leave the Sunshine State! This year's theme at Gaylord Palms is ICE! featuring A Christmas Story. The amount of detail put into the hand-carved ice sculptures is incredible. They really went all out this year with more than TWO MILLION pounds of hand-carved ice sculptures. Side note: DRESS WARM. The ICE exhibit is BELOW FREEZING! That's right, it's a whopping 9 degrees chilly in the winter wonderland. Gaylord Palms provides jackets but for Floridians, the key to pure enjoyment without feeling the frost is simple: LAYERS ON LAYERS ON LAYERS. And gloves. Don't forget the gloves. Try to catch one of the JOYFUL Atrium Light Shows when you're there. It exemplifies the elegance and simplicity of Christmas lights while they dance to incredible holiday music. The light show centers around a six-story Christmas tree decked out in lights. The light choreography is incredible and brings you on a journey around the world. This is one winter experience you don't want to miss out on. Click here for more information.